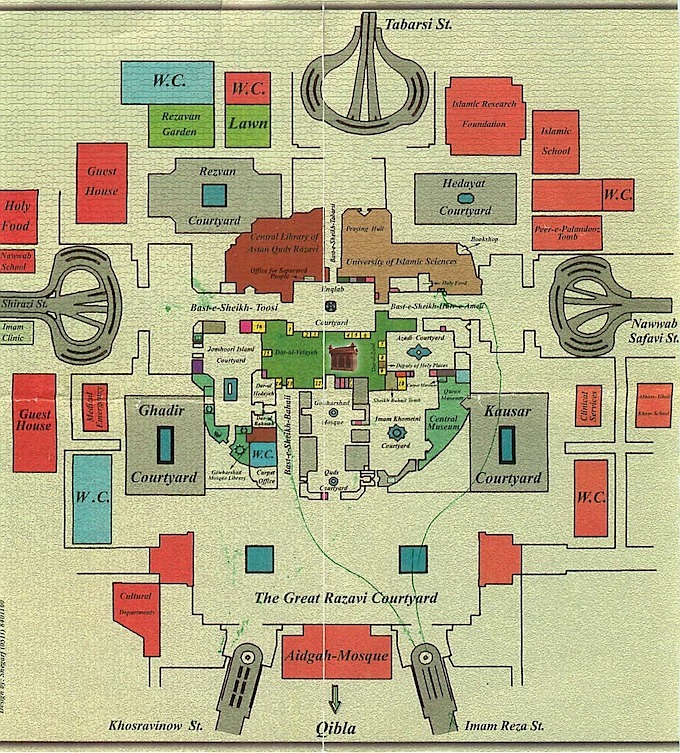 I've drawn the following schematic based on the official map, in order to highlight the main areas. 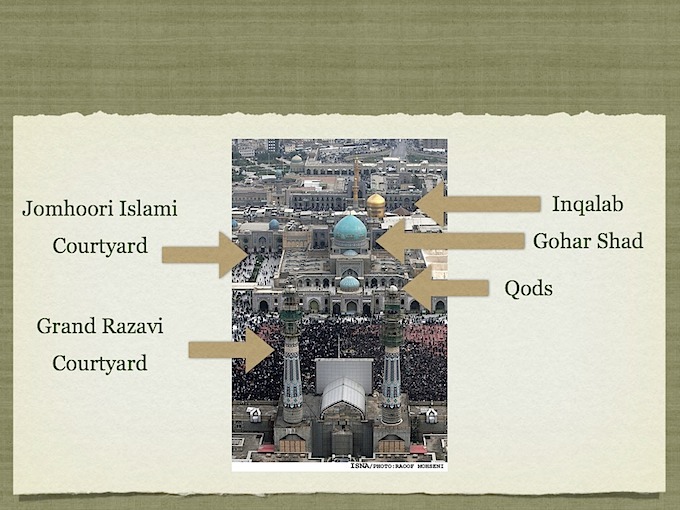 The schematic below shows the main courtyards and basts in relation to each other and the Holy Shrine. 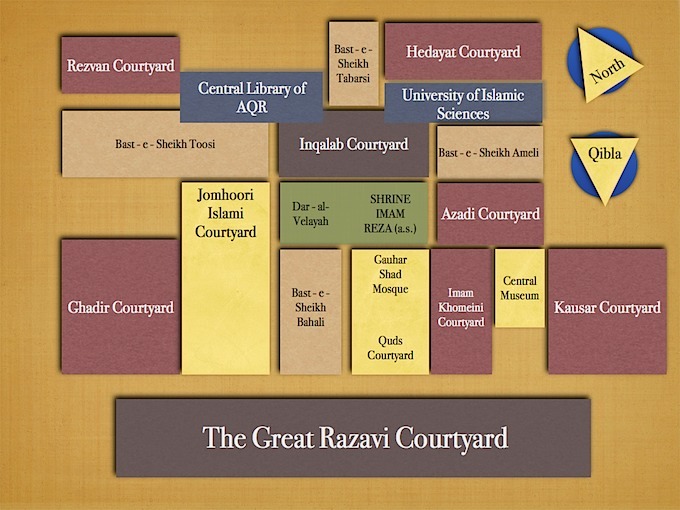 The following diagram is an old one (prior to significant post-revolution modifications) and shows the Shrine of Imam Reza (a.s.) in relation to surrounding porches and courtyards. 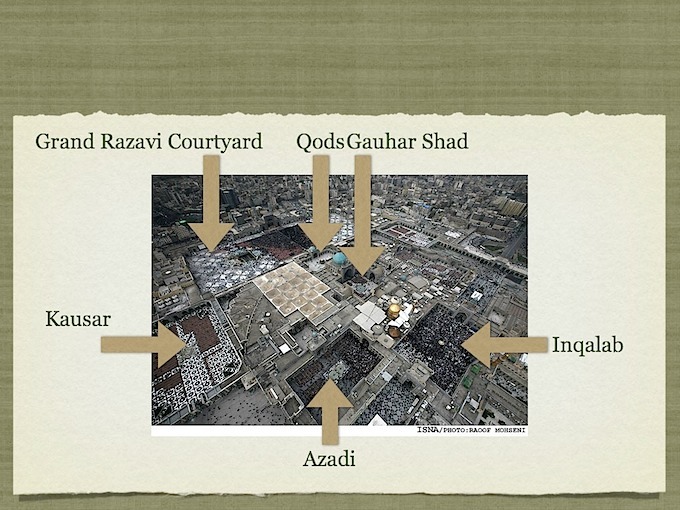 It's worth noting that the diagram below is useful in terms of identifying the chambers e.g. 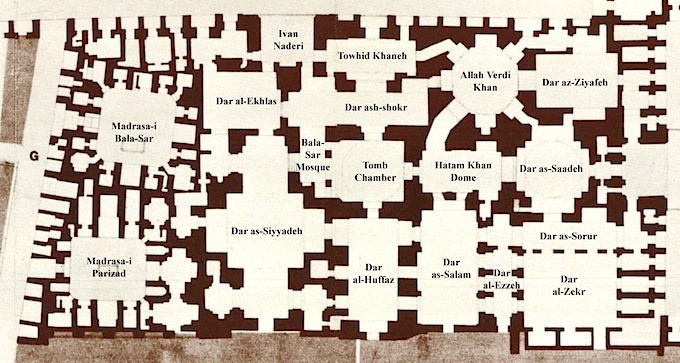 Dar al-Zekr, but that it uses the old (pre-Revolution) terminology for the Basts and the Courtyards. 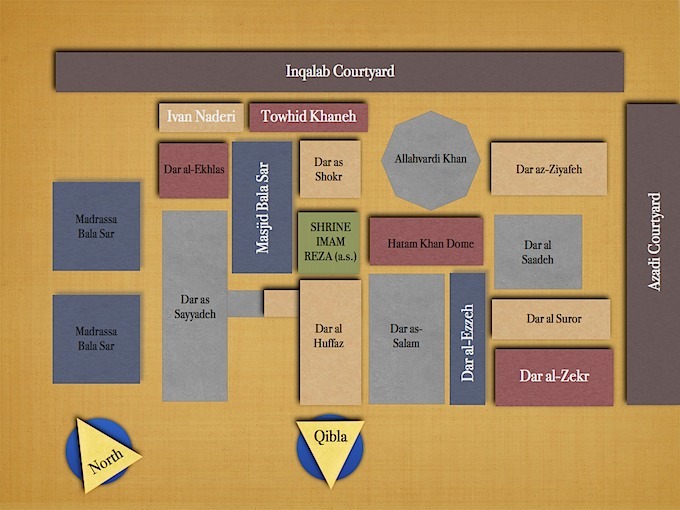 The bazaars that it shows have since been removed in order to make way for the new courtyards. 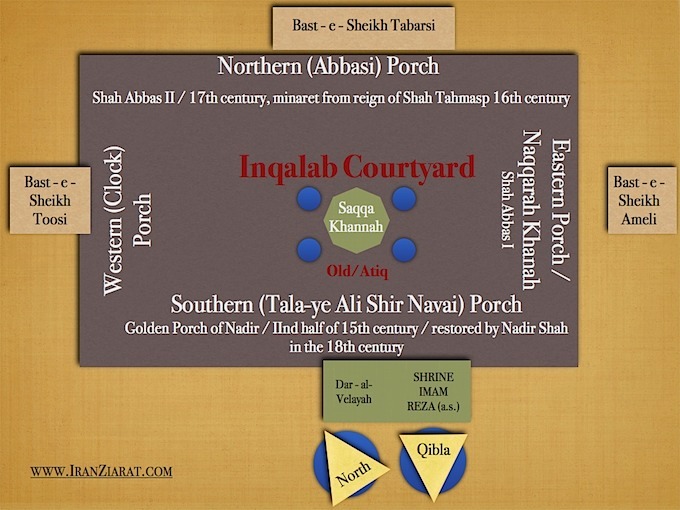 In terms of the changing terminology, Bast-e-Sheikh Toosi, used to be known as Bast-e-Bala Khiyaban and Bast-e-Sheikh Ameli, used to be known as Bast-e-Pa'in Khiyaban. 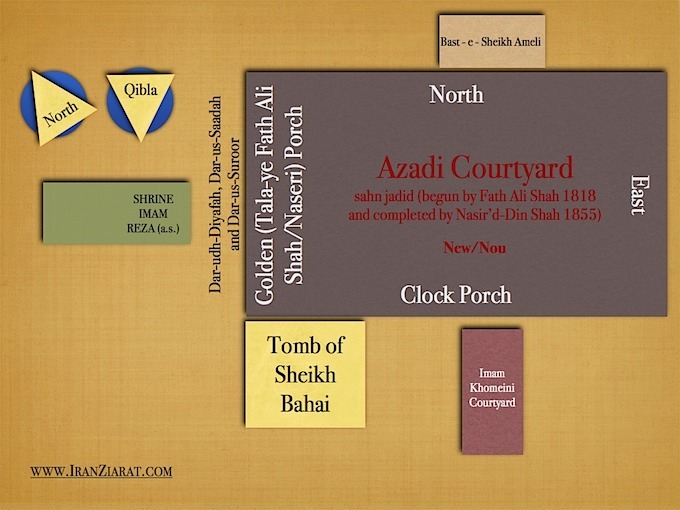 What used to be known as the Old Sahn is now Inqalab and what used to be the Old Sahn is now Azadi. 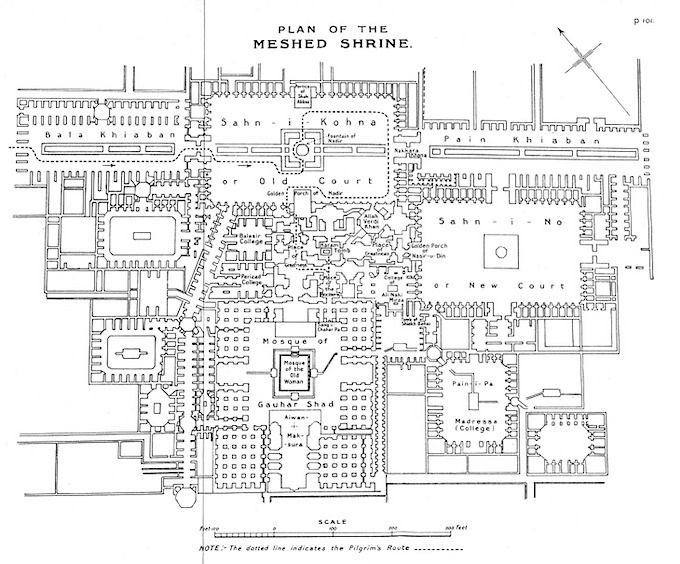 The following schematic, shows the above in a simplified manner. 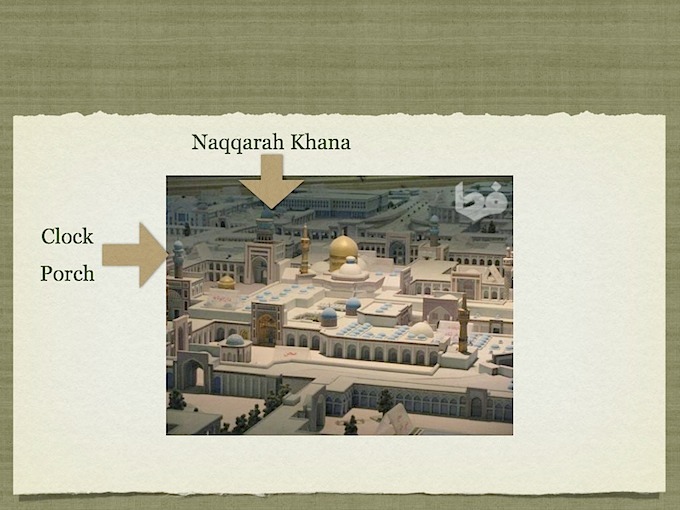 The diagram below is an historical one.